Chakrata, a cantonment town in Dehradun district of Indian state Uttrakhand, is a peaceful retreat from the hustle-bustle of the city. Surrounded by lush green valleys and verdant mountains, it is a perfect offbeat location and a weekend getaway for a Delhite. It’s not a popular destination, hence only a few people know about it. But let me assure you, once you’ll visit Chakrata, you’ll wish to be at no other place! 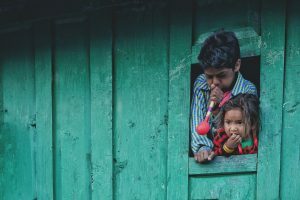 So, here’s a quick guide to plan your trip to Chakrata. It is an access restricted military cantonment and foreigners face severe restrictions while visiting Chakrata. There is no direct transport as well. One has to reach from Dehradun via Mussoorie or Vikasnagar. Either way, roads to Chakrata are breathtaking! If you’re coming from Delhi, you can catch a bus to Dehradun from ISBT Kashmiri Gate. These roadways are very cheap, but you may have to compromise on your comfort. Else, you may book a comfortable AC bus or a Volvo (starting from Rs.500) from various portals like MakeMyTrip, RedBus, MeriBus, Yatra, etc. There is a railway connectivity too, between Delhi and Dehradun. From Dehradun, you can either catch a bus or hire a direct taxi / cab to Chakrata. The direct cab will be costly (around Rs. 1000) but will save you a lot of time. If you wish to travel via public transport, roadways, then you’ll have to make a break journey via Vikasnagar or Mussoorie. There are two routes to reach Chakrata, one via Vikasnagar and one via Mussoorie. You’ll have to catch a bus to either of the two destinations and then will have to take a shared cab to Chakrata. From Dehradun to Mussoorie is a beautiful road journey, but it takes more time as it’s all hilly region. Vikasnagar is on the same terrain, and thus take less time. Finally! You are in Chakrata now. I know it was a tiring journey but look at the view, so mesmerising. Ohh, yeah! Pull a light jacket or sweater, the wind is a bit cold here, and by night it will get colder. You are probably in the market right now, that’s where most of the cabs drop people. Take a walk around, you’ll find many small shops serving noodles and momos. Try it out, they are good. Had a fine meal? So, let’s just look for a place for you to stay. There are few options, as it’s not a very touristy place, but these options are good! Snow View Hotel, Hotel Hill Knights, Blue Canvas Resort, Himalayan Paradise – these are some of the options you can try out. Other than that you can, of course, look out on portals like MakeMyTrip and GoIbibo. There’s another portal, GuestHouser. 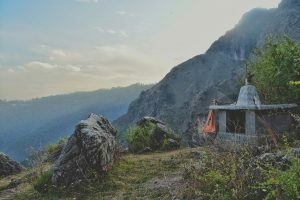 They have a variety of unique accommodations all over India. They have few inventories in Chakrata as well, have a look! Hotel rooms aren’t much costly, it may cost around Rs. 500-1000 per person per night. If you are still confused and wondering which one is a better option, just ask anyone for ‘Mehta Sahib ka Resort’. 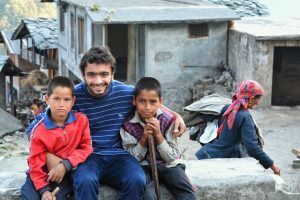 Mr Mehta is a very humble man, and quite popular in Chakrata, as he owns a few properties and a small restaurant (opposite the bus stand, a very good place to eat). We accidentally bumped into a friend of mine at Chakrata and he told us about him, who happens to be his uncle. We gave a visit to his resort, which was newly constructed, and we were amazed by the location of the property. They have beautiful cottages on a small hill, and a small stream flows down from the mountain, next to the cottages. Also, they have a tent (for 4-6 people) for those who would like to experience a stay in wild. Apart from that, they are creating space for some adventure activities and a bonfire. 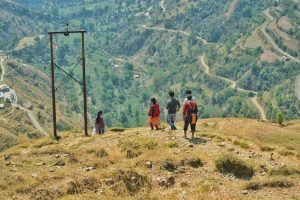 They haven’t come up with a name for the resort yet, but if you ask anyone in Chakrata about Mr Mehta and his resort, people will be more than happy to tell you the route, or may even offer you a lift. Tiger Falls! It’s the first thing that would come to minds of every one of those who have been to Chakrata. It’s one of the highest waterfalls of Uttarakhand and it drops from a height of about 312 feet. You can either trek down the whole mountain (about 5 km) or hire a cab to reach the falls (cabs will drop you at parking, 1 km from the falls). I’d recommend the former after all that’s a real adventure. Climb up a mountain and sip a cup of tea with the villagers. It is fun! Do you know, the region where Chakrata lies, is called Jaunsar-Bawar? It belongs to the tribes Jaunsaris, they live in the lower part of the region, and Bawaris, they live in the upper snow-clad region. They believe, at least they claim themselves to be, the descendants of Pandavas (Jaunsaris) and Kauravas (Bawaris). Ohh, no! They don’t have any rivalries now, there isn’t going to be any other Mahabharata war. Just that, they had some ancient customs, like polyandry, which is now fading out. By the way, I’m not taking any guarantee of their ancestries. Interact with them and find out on your own. 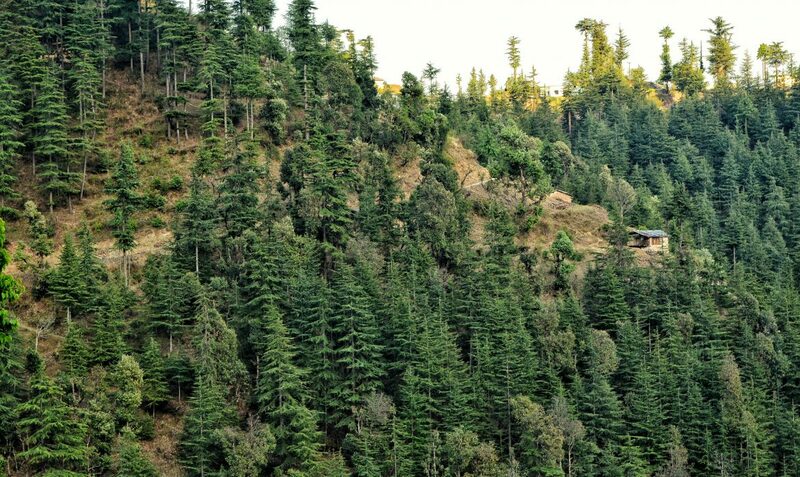 Deoban, a picturesque mountain with dense Deodar forest, is located about 10 km (by road) above Chakrata. You can hire a taxi from the market, as roads are just fine, and after a 30 mins drive to the forest rest house, there’s a 15 min trek into the forest. Now, you must have heard that most of the places in India are linked with mythology, Deoban isn’t any different from those places. Here is a peak, called ‘Vyas Shikhar’, which is said to be the spot where the Veda Vyas, Krishna Dvaipayana, narrated the Hindu epic Mahabharata, which was being written by the elephant-face god, Ganesha. Head out to Deoban, sit in meditation at Vyas Shikhar and enjoy the mesmerising views of the Himalayas as seen from there. I’m sure, you’ll realise the essence of mystery this mythological place holds. Chakrata may not be a very popular touristic spot, but this place has its own charm, mystery and serenity that will make you fall in love with it, in no time. And yeah! You may visit Chakrata at any time of the year, it never loses its charm except, of course, during monsoons as roads may experience some landslides. However, I would recommend to visit it during retreating monsoon season. The roads would be wonderful, valleys would be covered with a sheet of green, and there would be a little mist in evenings and in mornings which would drive you crazy beyond your imagination.